By the start of the summer, Mundelein Elementary School District 75 is hoping to embark on new journey that will bring it an alternative energy source through the use of solar panels, and significantly reduce the electric consumption costs at its four educational sites. A contract with ForeFront Power LLC of San Francisco, Calif., is set to be effectuated upon the company’s application approval for project incentives by the state of Illinois Power Authority. A contingency acquisition by the school district is the purchase of a 2.5-acre parcel being used for a retention pond, situated directly behind Mechanic’s Grove Elementary School, located at 1200 N. Midlothian Road in Mundelein. 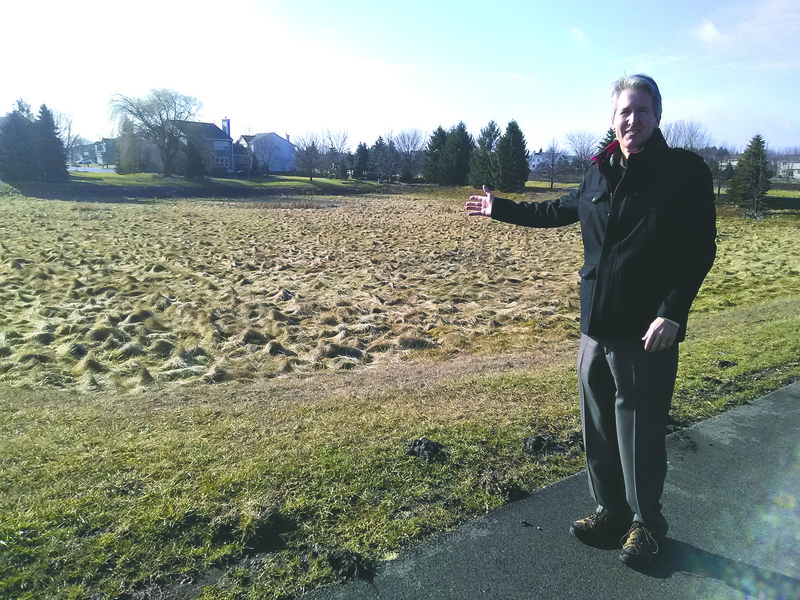 The property owner, the Mundelein Park District, is set to sell the property for $25,000. The property will feature a solar panel field with a line running directly to the building. Roof-mount installations are going to be placed at the district’s three other schools: Carl Sandburg Elementary School, the Washington Early Learning Center (K-2), and the Lincoln Early Education Center (preschool), which is a tri-district facility that includes the Hawthorn School District 73 and Fremont District 79. Their contract with the school district stipulates the company would install and maintain the four solar arrays, as well as hold their ownership rights. The Mechanic’s Grove agreement has a 25-year term, and the other three schools are 15-year term accords, due to unknown roof conditions. The District 75 School Board approved the $25,000 allotment for the property, during its Dec. 17 meeting, along with an additional $6,000 for area landscaping near to the Mechanic’s Grove installation. “We’re planting arbor vitae to block the view of homeowners in the subdivision, adjacent to the site, and a berm or other landscaping to be considered,” said Henrikson. 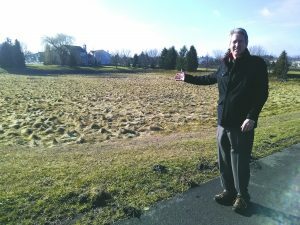 Mundelein Park District Director Margaret Resnick is looking forward to partnering with the district on the land transaction, and calls it a “win-win situation” for both entities. “The parcel is directly behind the Mechanic’s Grove School, and although it’s a retention pond, it’s actually a grassy, squishy bottom kind of thing, if you will, and doesn’t really hold water. We have to go and cut the grass in it every two weeks and we really can’t access it or use it for any programs. Another advantage of the “going green model” is that Forefront also provides school curriculum lessons related to environmental sustainability, and can be tied into the Illinois Scholastic Standards for application with classroom lesson plans. “They have a variety of lessons that coincide with solar power, and each school will also be supplied with a computer to monitor the daily output of electricity that is being generated,” Henrikson said. “It’s still amazing to me, how far technology and product availability has come, especially for education.